Update: We have a winner! Congratulations to Penniless Teacher! Your Avery Mini Binders & Index Dividers will help you get organized in no time flat! 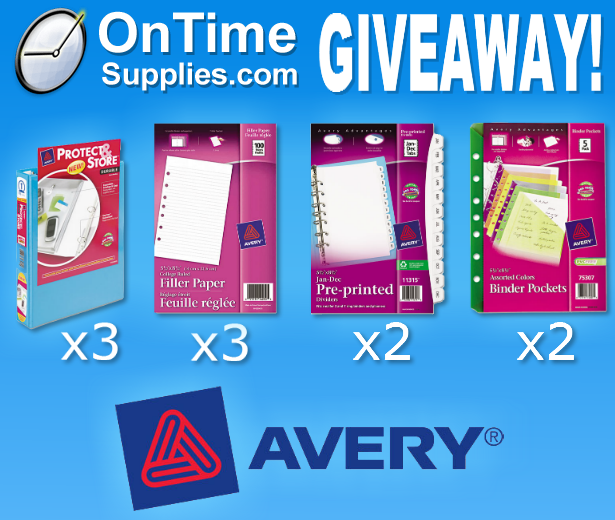 Thanks to everyone who participated in the Avery Mini Binders & Accessories Giveaway. We’re giving away great Avery Products this week too! Enter today for your chance to win Avery Removable Wall & Window Signs, plus a dozen Sharpie Gold Markers. 3 Mini Avery® Protect and Store Round Ring Binders: durable 5-1/2″ x 8-1/2″ binders protect and store paper, binder pockets, index dividers and other essentials. The view binder style allows you to create your own custom covers! 3 packs of Avery® Mini Binder Filler Paper: conveniently sized to fit in your mini binders, so you always have a place to jot down your thoughts. 2 Mini Avery® Small Binder Pockets: plastic pockets are non-stick, so they won’t lift ink off paper. Plus, the business card pages hold up to eight cards per page. 2 sets of Mini Avery® Monthly Index Tab Dividers: pre-printed for convenient organization. 5-pack Mini Avery® Studio Collection Write-On Tab Dividers: Signature designs organize your mini binders with style and color. Boost your odds of winning by entering the Avery Mini Binder Giveaway on Facebook, Twitter AND the blog. The Giveaway ends next Tuesday, September 10. We’ll announce the winner here at the Office Ink Blog that Wednesday, September 11. Good luck! I have recently started working from home so these binders will be very useful in organizing my home office. I am a college student. 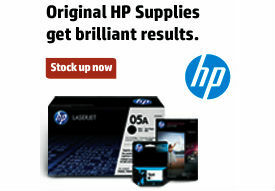 This prize package would really help me to keep all of my homework organized. This would be an amazing gift! It would help me organize my kinder class, my small group intervention students and organize my home items. I should win because as an advocate of organization I worship the deity that is Avery Business Products! lol! WOW, this would help me organize my blog! Let’s see: Son in College, daughter in High School, My desk is a HUGE Mess & I am trying to also organize those darn bills & get back into couponing. This would help my family a great deal!! I recently received a promotion working for a non profit Social Service agency that serves individuals with developmental disabilities… I could definitely use this to help organize my caseload. I have about 20 individuals I serve and this bundle would do wonders to help me keep all of the state sanctioned paperwork in order. I work with low-income students at a middle school and this supplies would go so far to help them! I am a teacher, so this would be great. Hi! As an itinerant speech therapist, I really should win this awesome prize pack so that I can set up easy to carry data collection binders for my three schools that I serve! It is hard to tote stuff around everyday! These would make it a breeze and would be so easy to carry with my mini ipad! I should win because I need help with keeping my Kindergarten classroom supplies and data organized! Pick me! I teach at a rural elementary school…these would be great to pass on some of my students. I shared on facebook, twitter, and follow by email. I’m really focused on getting my classroom organized this year. These binders are student-friendly in terms of size and would make organizing resources for them to use a dream come true! I have change grades teaching first graders now. Moving down from a higher grade has been a challenge and organization is important. I try to teach the children how to be organized, as I feel that makes the learning and assignments so much easier. I need to model that organization for them and this packet would be fabulous!! I am a new small business owner who can use all the help I can get! These would be so useful for organization for our work and for projects that I am planning later in the year.